These revolutionary baskets, with removable side panels, are kinder to plants, with no damage to roots by squeezing. They’re more environmentally friendly than using moss, are rust and rot-proof, longer lasting, and will require less watering than conventional baskets! 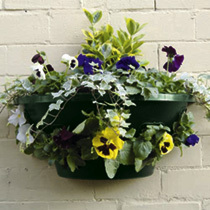 Choose from traditional hanging baskets, which come complete with chains. 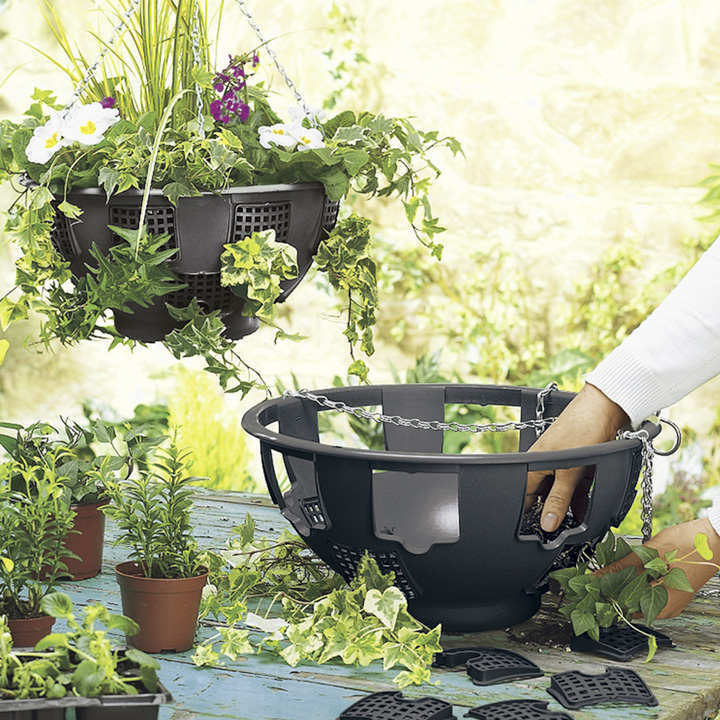 30cm (12") diameter basket: 6 removable panels.